BAL-HAM, gateway, if the guys from Chicago’s Goose Island Beer Co are correct, to a new form of gastropub/craft beer bar: yummy grub combined with rare brews. 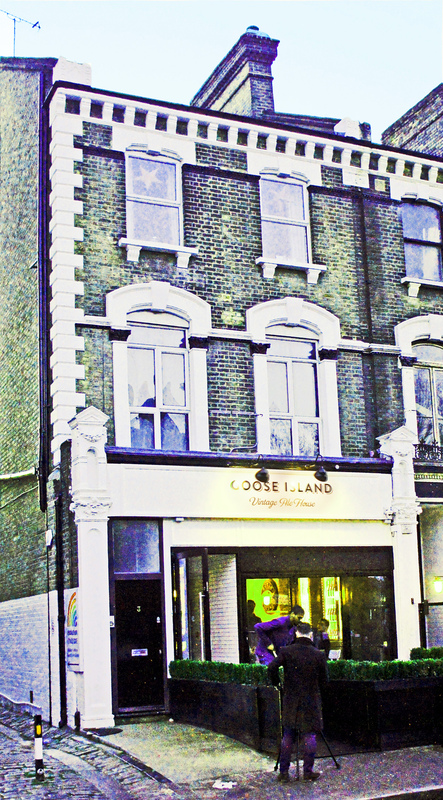 The very first Goose Island Vintage Ale House had a goosedown-soft opening in a former Be At One cocktail bar in Ramsden Road, SW12 a week before Christmas, and ramped up the publicity last week with a “launch beer dinner” attended by Goose Island’s founder, John Hall, and president/general manager, Ken Stout. I would love to hope that they’re right: if there was just one bar like a Vintage Ale House per London borough, then the beer revolution would have ended in victory, and beer would be back at the heart of British gastronomy, from which it was brutally evicted in the 19th century. It’s a big irony, of course, that John Hall took the idea of the British pub, and British beer, to Chicago after a tour of Europe back in the 1980s, turned his original Goose Island brewpub into one of the stars of the American brewing revival, and is now returning to the motherland with a take on the British pub that could revitalise the original concept. Ken Stout, in a simile he admits to have borrowed from someone else, compares it to the “British Invasion” of the 1960s, when groups such as the Rolling Stones and the Beatles took American music – the rhythm ’n’ blues of people like Muddy Waters and the country-influenced rock ’n’ roll of Arthur Alexander – back to the United States with their own twist on it, became a smash, and made music fans appreciate anew what they had. Now British beer fans are being taught to love the IPAs and heavyweight stouts their great-grandparents knew by American brewers who have reinvented these beers for the 21st century. That analogy quickly falls over if you push it too hard, but it’s not totally wrong, and it has wider application than you might first think. The current Good Beer Guide lists more than 20 cask beers by British brewers called “American [something]”, another 20-plus that mention Cascade, the almost archetypal American “new” hop, in their names, and over a hundred IPAs, most, I’d give you short odds, inspired by American IPAs, that is, with big floral hop flavours. The American influence today on British cask beer is now undeniable – and let’s not even touch on the “craft keg” scene. 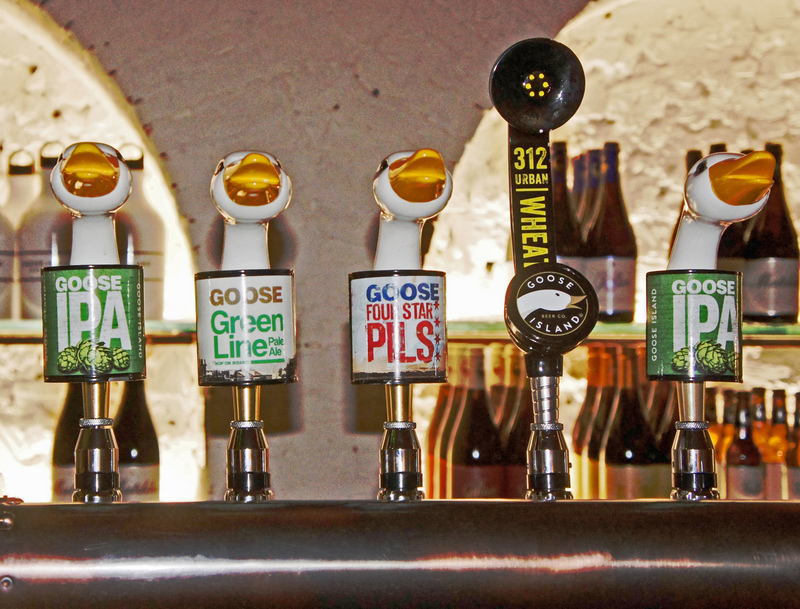 So is Britain ready for what Goose Island says is the first dedicated exclusively American craft beer bar in the UK? 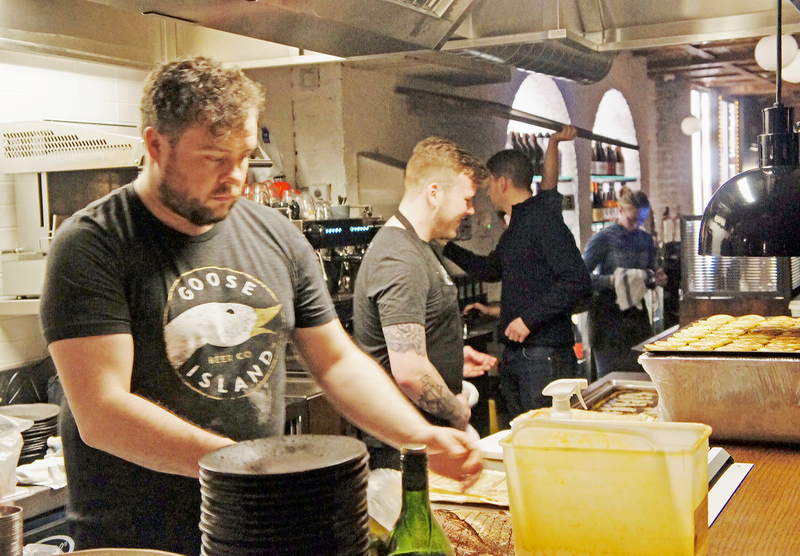 I’d love to believe so, because it provides a different and, I think, very good take on what a pub can be – and, actually, what a tied house can be. I’ve never felt having just one brewer’s products on sale has to be a barrier to complete customer satisfaction: choice is over-fetishised by beer geeks. 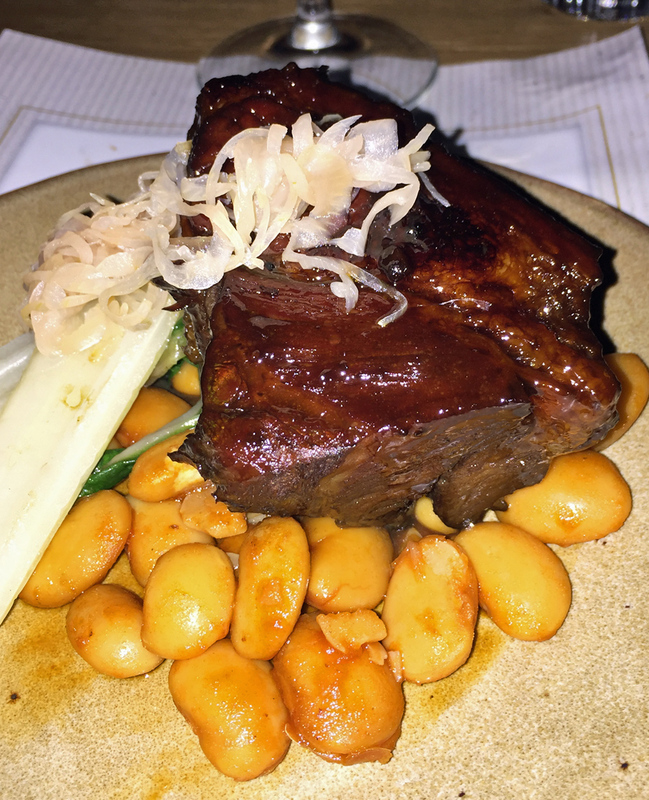 What the Vintage Ale House offers is a place where beer, good beer, beer from a company that cares about beer, is absolutely central to the offer, but so too is good food – porter and molasses glazed beef cheeks, for example, enough to make any Hereford smile – that is designed to go with beer. 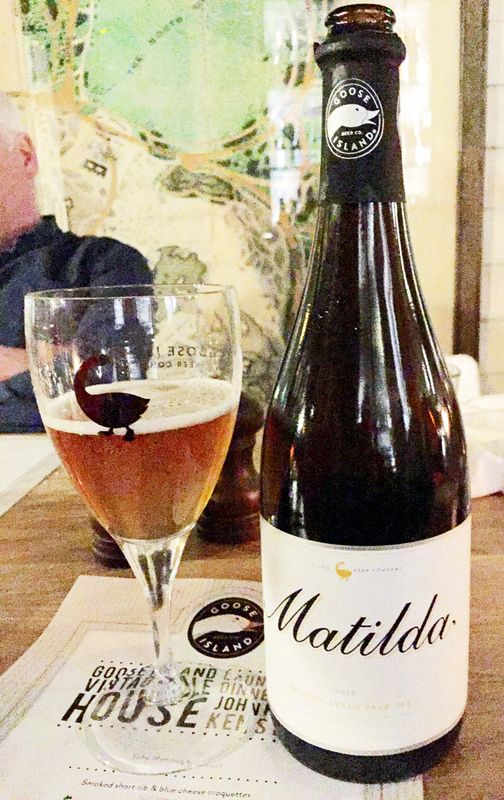 Four Goose Island draught beers – IPA, Pils, Green Line pale ale and 312 Wheat – are available, but so are big 76.5cl bottles of the brewery’s seven different heavy-hitting barrel-aged Belgian-style ales, such as Sofie, a 6.5 per cent Saison, Matilda, a 7 per cent “Orval-alike” pale ale and Juliet, an 8 per cent Brett beer flavoured with blackberries. Other beers unique to the Vintage Ale House are promised, to maintain interest and bring people back. The vintage beers will hit you for between £18 and £23 a bottle, but that’s still (mostly) cheaper than the (limited) selection of wines, which start at £20 a bottle and climb to £35. At the same time, I am confident that if you like beer, you’ll love these beers in the context for which the originals styles were made: with food. If the Vintage Ale House finally encourages British pubs and bars to take beer and food pairing seriously as a core strategy John Hall should get a knighthood. I spotted Charlie McVeigh, boss of the small-but-expanding Draughthouse chain of gastropubs, at the launch, hopefully gathering some ideas, though since two of his ten pubs are in neighbouring SW11 he was probably mostly checking the new opposition: Draughthouse sells Goose Island beers. 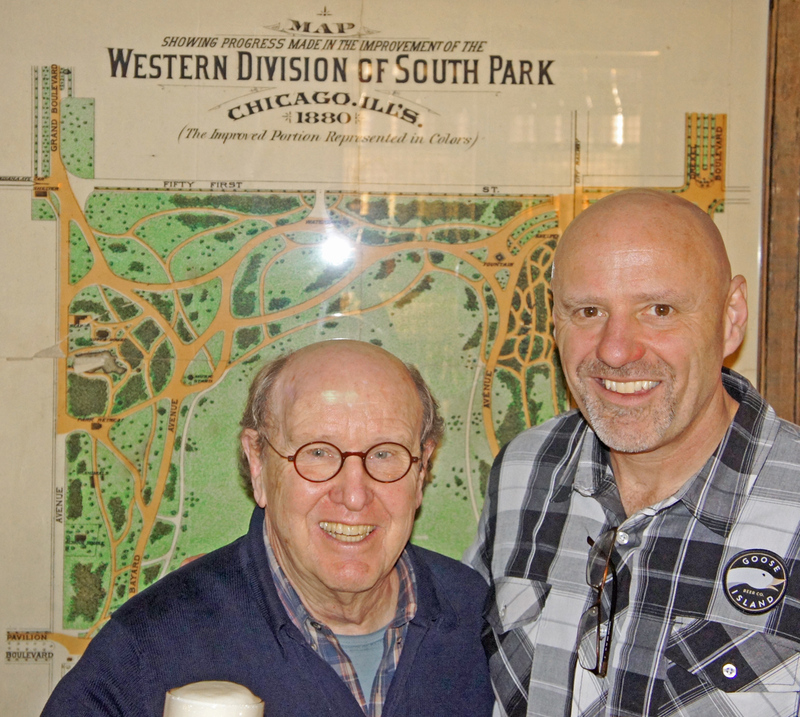 You’ll not, of course, see any hints anywhere in the Vintage Ale House of Goose Island’s ultimate owner today, AB InBev, which acquired the company in 2011: but why should you? Does a Jaguar F-Type have a badge somewhere saying it was made by a company ultimately owned by Tata of India, manufacturer of buses and trucks? And if AB InBev’s ownership of Goose Island puts you off, would Tata’s ownership of Jaguar put you off owning an F-type? So, anyway, will the Vintage Ale House succeed? Mmmm, ah, well, dunno. I’m not totally convinced that the location is the best: even if Wikipedia says Balham has an “increasingly professional middle class population”, its success will be as a “destination” venue, and I don’t know how much of a “destination” Balham will appear to be to the average under-40 London foodie who is, I suspect, the target market. The building, a converted Victorian house just off Balham High Road, provides a combined bar/dining area/kitchen that is long and narrow and certainly not large. And while I want to hope that Goose Island is pushing at an open door, I think the next opening of a Vintage Ale House, planned for Brussels in the summer, is likely to do better just because the Belgians already understand beer-and-food. Still, I had a great time on Wednesday: loved the Sofie Mimosa cocktails on arrival, a mixture of orange juice, Grand Marnier and Sofie saison (rather than the traditional champagne), which had an impressive depth and heft, the character of the saison, which is part barrel-aged on orange peel, making this a rare (in my experience) cocktail to be talked about as you drink it. Most of my talking, though, was with John Hall and Ken Stout, whom I somehow managed to monopolise in the “interview” session before the dinner. He was, he says, “so heavily influenced by Michael Jackson – heavily influenced. He’s the one that probably gave me the passion, more than anything about it. More than once he would come over and we would sit down right in the pub, and he could recall every damned beer he ever drank. He had an extraordinary sensory ability, oh my goodness. What troubles me is that so many of the young brewers in the United States have no recollection and no knowledge of what Michael did in, for example, inventing and promoting the whole idea of beer styles. In terms of the global explosion in the numbers of breweries, we are, he says, merely returning to 19th-century levels of brewery numbers – and against a background of much larger populations. John adds that it is also far easier now to acquire kits of the right size for a small brewery: in the days when Goose Island was beginning, it was giant kit or nothing. Thus the growth of the market has brought a virtuous circle of more demand for brewing kit encouraging more brewing kit manufacturers, driving down prices and encouraging more demand for brewing kit. Saturation, he thinks, is still a long way ahead: there are, after all, still almost twice as many wineries in the United States as breweries. Ken Stout believes the US could eventually reach 12,000 breweries. All the same, he warns: “It’s not good enough to open a brewery that’s local and that’s small. If the beer isn’t great, you’re not going to make it. Drinkers have too many other choices. It’d be cool if the pub had Honkers on cask. Honker used to be my favorite but I’ve not had one in a long while with explosion of local beer in my neck of the woods, the Ozarks of NW Arkansas and SW Missouri. I think it is time to get re-acquainted with an old friend. It’s a great story but the sad part is that Goose Island’s beers aren’t that good by breakthrough USA standards, and ‘cascade’ (which is both a name of a hop and a malt confusingly) is now an ‘old school’, though respected, hop. I’ve drunk gallons of Goose Island IPA as a late night beer when you don’t care how it tastes but it;s’s still decent – kind of beer. Maybe on draft – brewed locally – different water – a HUGE factor – it could be good. It’s a kind of malt? Really never heard of that. Actually I think that’s misinformation, or a misunderstanding, that I picked up from an Oregon brewer. I’ll check into it but unless I repost, assume it’s only a hop.